Porland of Turkey, one of the five gia Global Honorees this year, has a long, rich and colorful history. We look into what makes this manufacturer and retailer of porcelain stand out from the rest. Porland’s logo features a ballerina executing a perfect pirouette. This elegant symbol conveys both beauty and strength, reflecting the grounding philosophy of this manufacturer and retailer of porcelain. Porland’s founder is a man called Süleyman Pamukçu, who was born in the Turkish city of Siirt in 1956. From a very young age, Suleyman loved business. Even his first business venture was clever – he would rent books that he had already read to other children. Süleyman trained as an English teacher but in the end his passion for business and his natural abilities as an entrepreneur took precedence in his life, and at 20 years of age in 1976, he established his first store selling glassware. He then added a beverage dealership to his portfolio, and soon he was running a thriving business that created promotional glassware featuring companies’ logos. Pamukçu then moved into manufacturing and customizing products for the hospitality industry, such as plates and glassware, launching his company called İmge Ticaret in 1984. During this period, the company sourced its porcelain from Istanbul Porcelain, and when the manufacturer closed down in 1990, Süleyman had to find another company to produce his porcelain. Again, his entrepreneurial spirit kicked in, and he bought Istanbul Porcelain’s equipment and began creating his own porcelain. By 1992, at 36 years of age, Süleyman had opened his first factory and in the same year established Porland. Fast forward 27 years, and Porland has 1,600 employees and a factory production area of 380,000 square meters that produces 70 million pieces every year, with 65% of that being exported to more than 30 countries. The brand has 30 stores and works with more than 200 suppliers. Porland still services the hospitality industry but also focuses on creating beautiful pieces for the home. Now the company has expanded into product offerings including glassware, textiles, cutlery, pans and other things to complement its ever-expanding range of porcelain, which now includes more than 100 collections and patterns. 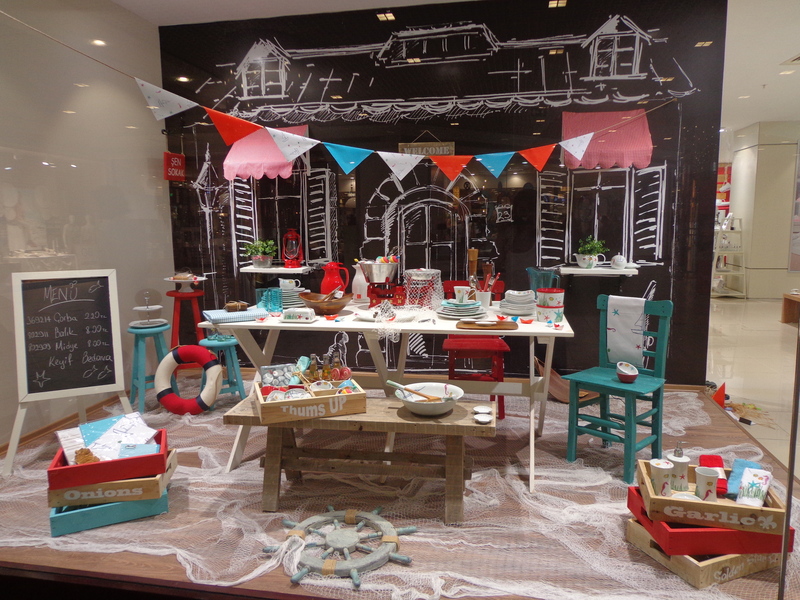 Storytelling through visual merchandising is at the core of what Porland does to showcase its many products. Although the company produces plenty of white and cream pieces (white porcelain is usually used in hotels and restaurants) it is ultimately famous for its intricately patterned, colorful, exotic creations. This creativity is mirrored in the décor of Porland stores – which are all a well-organized riot of color. In dedicated areas, products are arranged in living spaces called ‘Inspiration Zones’. These meticulously crafted settings are nothing short of magical – almost like scenes from a theatre show or a pop-up picture book. One zone might be a table setting arranged before open French doors leading the eye into an enchanting garden, while another might be a dinner table that looks as though the guests are about to enter the space and sit down for an exciting celebration. A Christmas presentation of products might have fields of snow and reindeer in the background while a more fun ice cream parlor setting might show off colorful drinking and dessert vessels alongside porcelain tea sets. Music, light, fragrance and sound are then used to bring the intimate arrangements to life – such as bird calls used in a garden setting or the scent of vanilla in a kitchen scene. Appealing to a person’s senses encourages them to relax and enjoy the surrounds, and it inspires them to imagine the scenes created in their own homes. 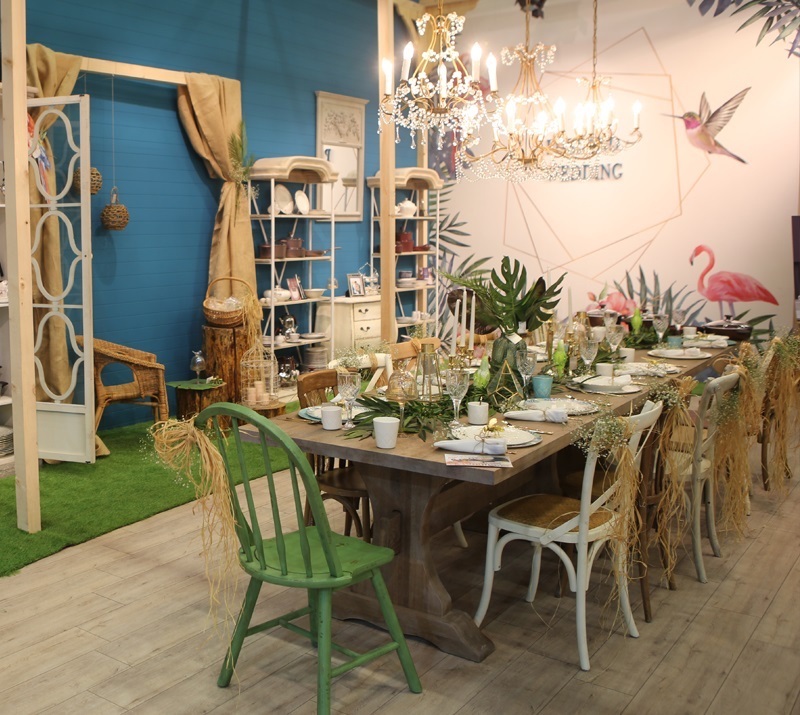 The Inspiration Zones are also used for kitchen-related workshops, blogger meetings and other events and activities that draw in more store traffic and keep customers entertained. This follows through to the store’s approach to design and the industrial-style architecture. ”We selected materials for our stores such as stone, brick, wood and metal. Like our source of inspiration – clay – the color tones of Porland architecture are selected from nature,” says Ümran. 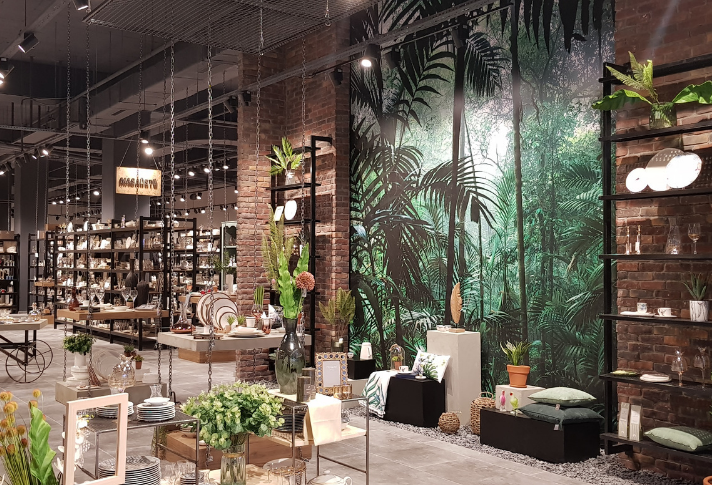 The concept is then completed by lighting that imitates warm daylight, and there are plants and flower arrangements artfully throughout the store, further adding to the customer feeling at ease and surrounded by nature. 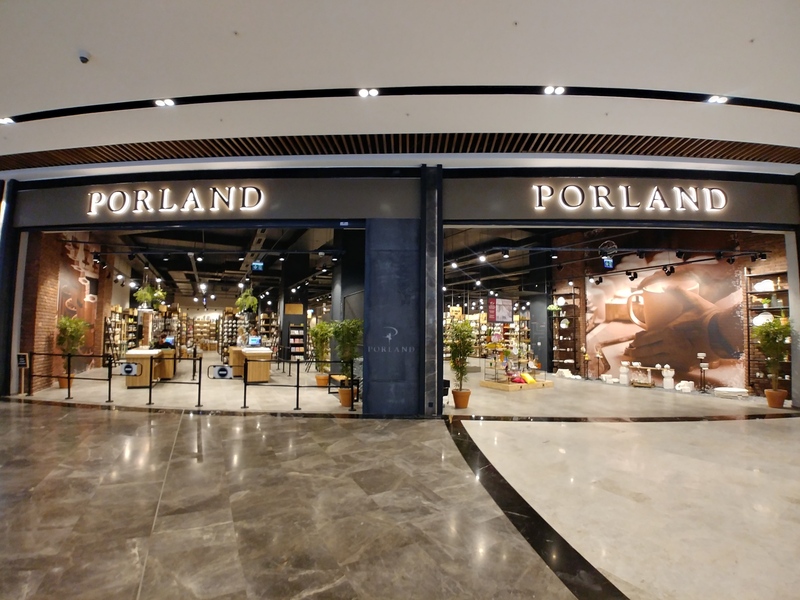 Despite Porland having old-world values and a rich history, it embraces technology and offers some unique experiences for its customers – including the use of an app that allows them to digitally place objects that they love into table setting displays. Called “Create Your Own TableTop,” customers use the app to create their dream ensemble of products, perfecting their dream setting before buying anything. Over the past few decades, Porland has continued to evolve and cement itself as one of the world’s leading creators and retailers of porcelain, and now, as one of the gia Global Honorees, the years ahead are sure to be as exciting as the ones past. To learn more about Porland, visit www.porland.com. Sponsored and organized by The Inspired Home Show and the International Housewares Association (IHA), gia (IHA Global Innovation Awards) is the world’s leading awards program honoring overall excellence, business innovation and creative merchandising in homegoods retailing. For more information about the gia retail program, the co-sponsors, or participating in 2019-2020, contact Piritta Törrö. Additional information on gia is also available online. For more information about The Inspired Home Show and to pre-register for the 2020 Show, taking place in Chicago on 14-17 March 2020, please visit TheInspiredHomeShow.com or Housewares.org.